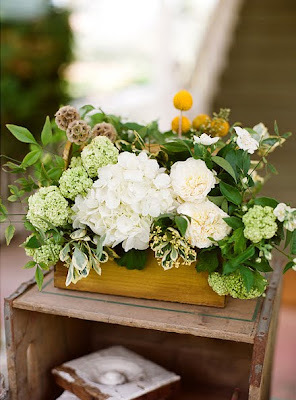 Lately I've found myself drawn to more eco-friendly design and have been inspired in my work to use simple, earthy elements that naturally bring out the beauty of the flowers I'm working with. 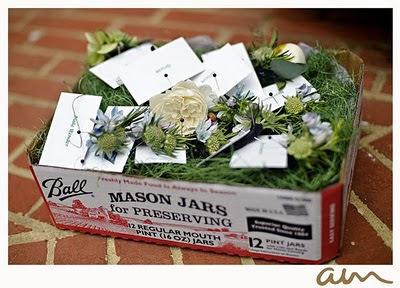 I adore using wooden boxes, tree bark, mason jars, old iron with a patina, twine, or anything else that looks like it's been lying around someone's garden shed for a while! 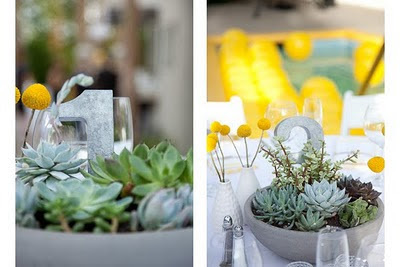 Here is a collection of some of my recent favorite inpiration photos for garden themed weddings. 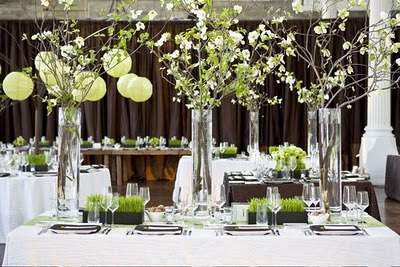 And please note- eco friendly, green style weddings are not restricted to outdoor wedding settings! 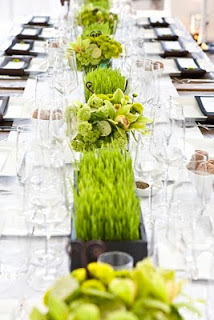 Even if your wedding is to be held in the most sophisticated of ballrooms, you can create nature inspired decor that makes sense in the space. I love this card table! 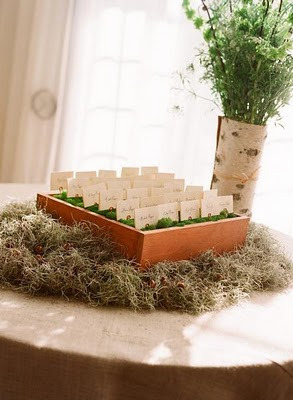 What a great use of natural elements- and it was a DIY project. Check out thebridescafe.com for a "how to" and create your own! 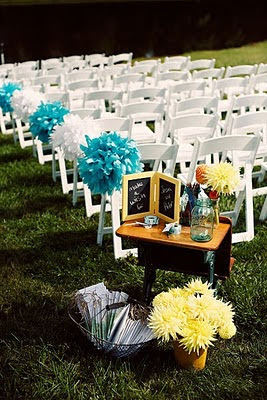 I love how this ceremony setting feels home-spun and comfortable. 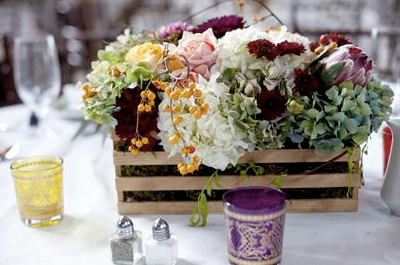 Rustic details enhance the feeling of intimacy. Bringing the outside in: I think this is a good example of how to use a garden style floral decor in a more formal space- the combination of the dramatic height of the flowering branches helps fill the room and "dresses" up the simple style. it's not fussy, but still feels elegant and appropriate.